What makes Comcast so good at employee healthcare? And how might Comcast’s current strategies foreshadow Stoddard’s work at ABC? Incredibly low employee cost-sharing. Employees only pay a $250 deductible on their care, compared to a $1,500 industry average. Nearly flat cost growth. Comcast’s health spending might be slightly above average, but it’s been close to that level for the past five years. Where other large employers see 3% year-over-year healthcare cost growth, Comcast’s spending only goes up 1%. Clearly, Comcast is doing something right. How did Stoddard and his team do it? Self-funding surely plays a role. Comcast’s ability to directly tackle care costs is a big source of its savings. With 225,000 people in its plan, the company has serious leverage. That means Comcast can get great deals with providers. But self-funding alone can’t explain Comcast’s efficiency. Other firms try it, only to be bogged down by double-digit spending growth. Instead, look to how Comcast approaches other aspects of the healthcare cost problem. The company’s partnerships with startups show some of its approaches. These are strategies that all employers — not just the supergiants — can use. Comcast’s most important partnership may be with Accolade. (It’s also an investor in the company.) Accolade helps employees effectively use their health benefits. This results in improved use of available services, which preserves employee wellness, prevents more serious health issues from arising, and ultimately saves Comcast money. Comcast uses Doctors-on-Demand to connect employees directly with doctors. With low-cost, convenient primary care, employees can seek treatment for common conditions without a costly visit to a doctor’s office. Finally, Comcast’s employees can also use Grand Rounds when care needs arise. The startup’s most important benefit may be guiding employees away from unnecessary care — an invaluable service when unnecessary care wastes $210 billion every year. What Else Works? Controlling for Quality. One further angle that merits some intensity — quality of care. 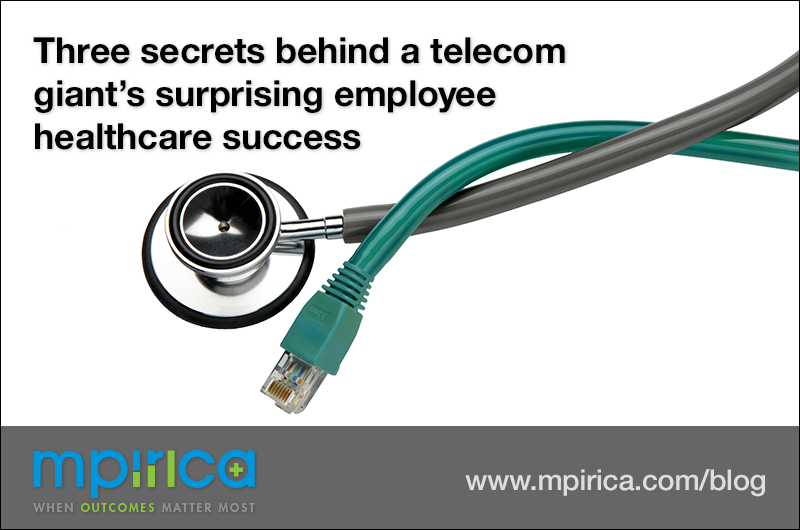 Discerning which providers offer the best possible care is a daunting analytical challenge. Many companies struggle to get it right, and thereby miss an important opportunity. This is because low-quality care is more dangerous — and more expensive — than many employers may believe. Even with routine procedures, like colonoscopies, low-quality care providers produce hundreds more post-procedure infections than their high-performing peers. With more complex surgical care, subpar providers dramatically inflate the risks and costs involved, sometimes even tripling the rate of complications. These complications have an outsized impact on cost. Surgical care, after all, accounts for 25% of total employer healthcare spending. In the case of CABG (a common heart surgery), complications from low-quality surgery can bring the cost of care from $11,000 to over $300,000. What’s Jack Going to Do Next? All this goes to show how the work of devising an effective employee health strategy is never done. Seeking quality care, engaging employee decision-making, finding new delivery models, and eliminating waste all play a role. Complicating things, none of these factors operates in isolation. Each influences the others. It’s enough to confound even the savviest benefits designers out there. That’s what makes Jack Stoddard’s work at Comcast so worth applauding. By keeping these elements in balance, he’s done an outstanding job controlling Comcast’s healthcare spending, as well as upholding high standard for their care. It augurs great things for his work at the new Amazon/Berkshire/Chase venture — we’ll certainly be keeping an eye on whatever approach he tries there.